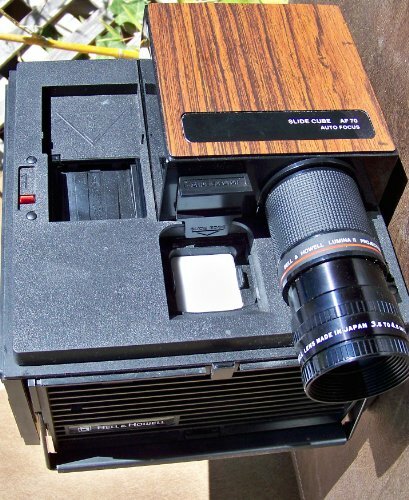 BELL AND HOWELL AUTO SLIDE PROJECTOR WORKS GREAT JUST NEEDS SLIDES $35 IF INTERESTED CALL OR TEXT show contact infoTHANKS FOR LOOKING. BELL AND HOWELL AUTO SLIDE PROJECTOR WORKS GREAT JUST NEEDS SLIDES $25 IF INTERESTED CALL OR TEXT show contact infoTHANKS FOR LOOKING. 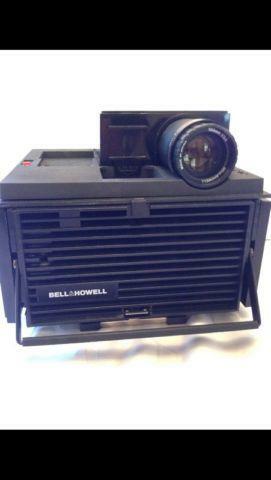 Vintage Bell and Howell RF60 Slide Cube Remote Focus projector in good working condition plus 2 boxes of slide cubes. Good bulb. Bell and Howell 35mm slide projector, several slide cubes and 48in. slide projector screen. Ex. cond. Bell and Howell carousel slide projector. storage and carrying case, 13 slide carousels, extra bulb included. For Kodak slide carousels.